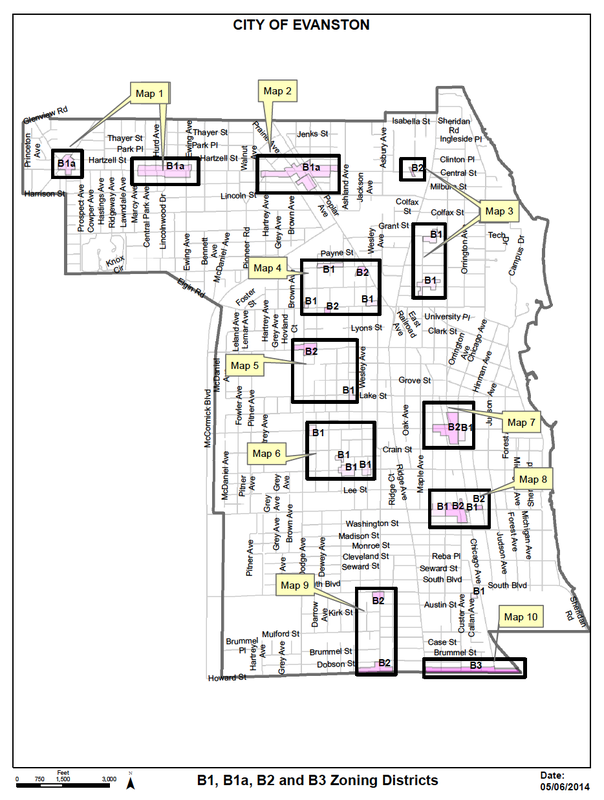 An amendment to Evanston’s Zoning Code was reviewed at the May 21, 2014 meeting of the Zoning Committee of the Plan Commission. The amendment seeks to remove "office" and "financial institution" from the Permitted Use list in B1, B1a, B2, and B3 districts. This means that there would be a break put on any use of ground-level retain properties, amongst other places in Evanston, especially in the Dempster and Chicago and the Main and Chicago areas. Detailed maps of all the districts affected can be found on pages 78-88 of the Planning Commission's packet. This is an attempt to slow down the use of ground-level retail properties as offices. There is a belief that such use tends to undermine the ability of these districts to remain destination points for retail shoppers. SEA applauds the efforts made to keep diverse retail alive and well in these neighborhoods.